Welcome to 'One More Row' Crochet Link Party #4! I am so excited with each round of patterns, so much creativity! Thank you to everyone who clicked, shared and participated in our last party! 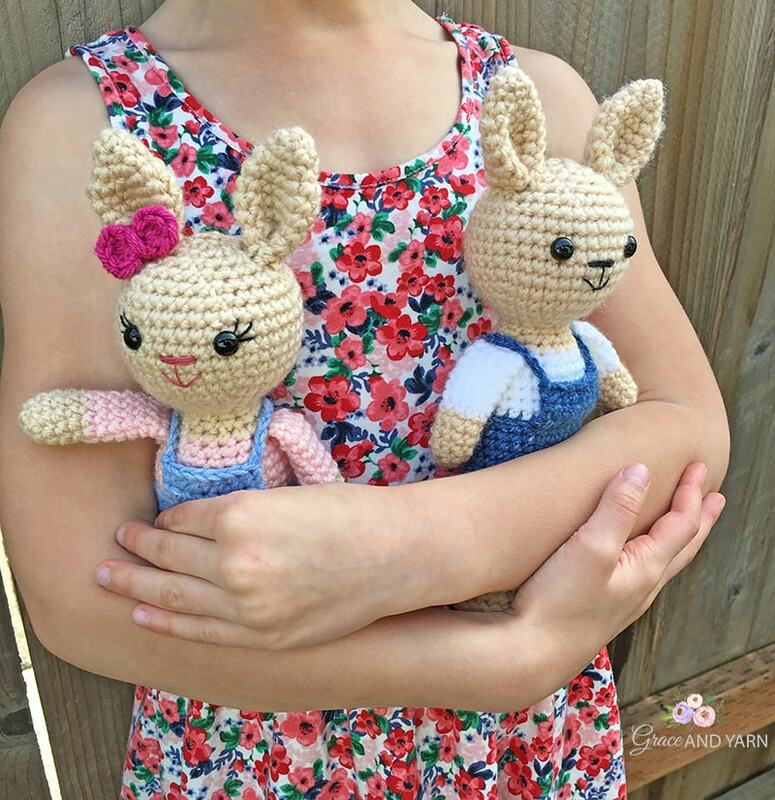 In our top 5 featured patterns we have two super cute amigurumi chicks (you know I have a soft spot for amis), a darling crochet basket pattern, super cute bunny pillow and beautiful mandala! The variety this week is wonderful and I have added each to my make list! Below is the round up of the Top 5 most clicked patterns from Party #3! Be sure to check them out by clicking the name of each pattern in the list below! 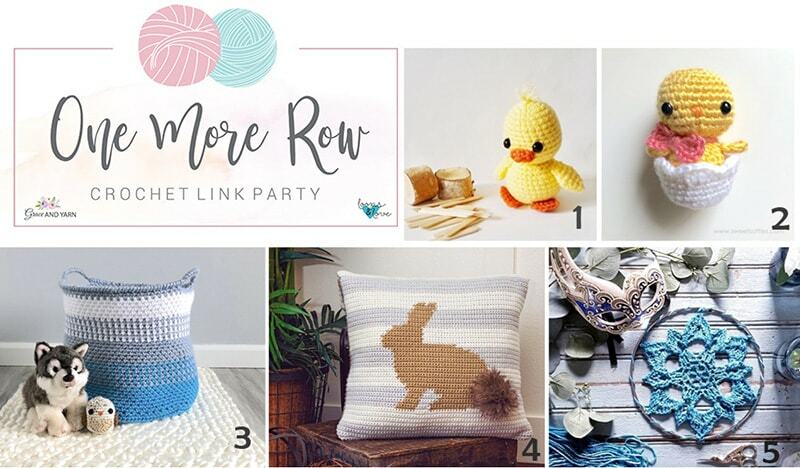 One More Row is a free crochet pattern link party hosted here on Grace and Yarn and on Loops and Love Crochet! Every other TUESDAY we will be sharing the top 5 clicked free crochet patterns from the previous link party! We are so excited to share the top 5 patterns from each party, plus see what new patterns will be shared in this next round. With Spring around the corner this lineup is filled with colorful patterns to warm up your day! PIN here to save to your crochet board! 1. Chirp the Chick by the Cozy Chipmunk - Laura has done it again with this super cute chick pattern! I love the feather tuft on top! 2. Baby Chick in Easter Egg by Sweet Softies - This sweet little baby chick includes a removable shell and adorable bow! How cute would she be paired with Chirp above! 3. 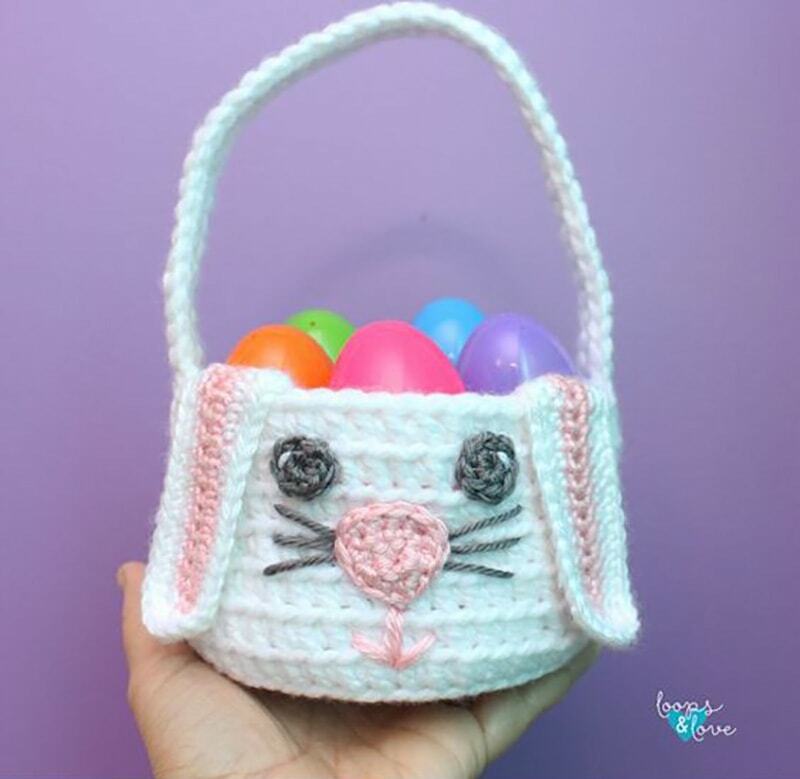 Blue Coast Basket by Sweet Softies - Jade has brought us a beautiful crochet basket pattern, I'm in love with the color changes and texture it brings! This would be a great storage solution for all of my amis....hmm! 4. Fluffy Bunny Crochet Pillow Cover - How cute is this fluffy bunny crochet pillow cover from Briana K Designs! Pattern is easy to follow with an awesome chart and the color possibilities are endless! 5. Bucaneve: How to Make a Textured Mandala (Beginner Friendly) - Rebekah has designed a beautiful mandala in this beginner friendly pattern, plus some great tips for blocking! What color(s) will you choose? Just in time for Easter this sweet bunny basket is sure to bring some joy while collecting eggs this year! Plus, with bulky yarn it works up super fast! We have just wrapped up our Spring CAL making these sweet and small bunnies, but you can still find each part as a free pattern here on the blog!